The New Zealand Dollar under-performed against its main rivals in the later stages of last week’s trading nearly losing 2.0% against the Pound as Brexit carnage swung markets. A very quiet week for local data the kiwi was stuck in the 0.68’s against the big Dollar. This week’s economic docket sees Current Account Wednesday and quarterly GDP Thursday. Both could move the kiwi out of current ranges if the data surprises. Last quarter showed a large -6.15B deficit, the largest in many years, with Wednesdays number expecting to come in around -3.55B, the next largest since December quarter 2017. GDP is expected to print at 0.6% positive growth if this is releases lower as it did in the December quarter we could see the kiwi hit hard. Risk markets will be guided by headlines in the ongoing Brexit saga as well as US-China trade talks which are could be quiet this week with the next trade meeting pencilled in for late April. The US Dollar gave back gains Friday after a mixed bag of results. US Durable Goods surprised to the upside for January printing at 0.4% after -0.5% was expected by markets. This is the 3rd month in a row with figures showing business investment had the biggest increase and is still expanding. Although a stronger than expected University of Michigan consumer sentiment came in positive at 97.8 versus 95.5 this was offset by poor Industrial Production and Manufacturing figures. Thursday’s Federal Reserve Cash rate holds most of the investor interest this week. With the Federal Reserve monetary policy only just above the normal range of growth we expect the Fed to maintain their 2.50% for March. Downside risks to the outlook have increased over the past months with treasury yields starting to price in chances of the fed cutting rates later in 2019 or 2020. Trade policy will have a lot to do with this with recent talks stalling with any real progress. May met with Juncker early last week and tried to negotiate an orderly exit but fell short. On Tuesday Theresa May’s Brexit deal was rejected for the second time after the parliamentary vote snubbed it 391 votes to 242. Another humiliating loss to PM May by a massive 149 votes. 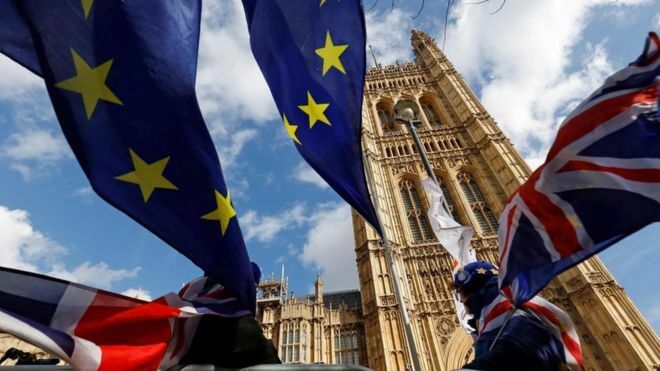 Another vote took place Wednesday in the British parliament where they voted on a “no-deal” Brexit exit option, taking this off the table. The result had MP’s rejecting the UK leaving the EU without a deal by 321 to 278 votes. These results paint a pretty gloomy picture of just how the entire Brexit debacle has been managed. Theresa May has clearly done her very best but ultimately fallen short of expectations based on two factors, British sovereignty and no support from parliamentary opposition. Thursday parliament voted again to ask the EU for a delay to the 29th March departure, the vote coming in at 412 to 202 to delay a departure from the EU. Brexit now could be delayed by up to 3 months as long as MP’s back her withdrawal deal next week on the 20th. If May’s deal is rejected again she will request a further delay, this would likely be a delay of up to 2 years to come up with new proposals and ideas. Any changes or requests for extensions first must be agreed by the 27 members of the EU. If Brexit is starting to make your head turn to mush – not to worry you’re not the only one. To summarise- the UK are still due to leave the EU on the 29th of March. There are two ways they can leave- with a deal or without. May still wants to pass her deal and will try for a third time this week. If it’s accepted the deal will go into law by the end of June. If not- the delay will be much longer. European Elections will be held in May, if the UK are still part of the EU then they will be required to take part in voting. We have a busy week on the UK calendar this week with the unemployment rate and Official cash rate to release. Japanese Machinery Orders were down at -5.4% from -1.6% for the month of January citing the ongoing trade tariff war for the downturn as businesses decrease spending on investments in the wake of global uncertainty. Bank of Japan’s Kuroda made waves at Friday’s Monetary Policy meeting when he called Modern Monetary Theory an “extreme idea”. The irony is that the Japanese government now owns half of all Japanese debt stemming from one of the gutsiest monetary policy programs in modern history, one in which he advocated. The problem for Kuroda is that he is a long way from achieving his goal 2% target and this has been unreachable since he came into power in 2013. He spoke of deteriorating exports and overseas risks that could threaten to harm the tender nature of the Japanese economy as he maintained the interest rate target at -0.1% in a 7-2 vote. Monetary policy minutes release Wednesday before a bank holiday Thursday in celebration of Vernal Equinox Day. The Canadian Dollar has outperformed the greenback benefiting from increased buyer interest with the pair tracking lower to 1.3300 Friday. A stronger Crude Oil price to mid 58’s per barrel also boosted the Loonie. The spike has been due to an inventory decline of 3.9M barrels for the week ending March 8th and a glut of 7.1M barrels the week earlier. Falling Venezuelan and Iranian production should keep the price high for a while but we suggest the high levels could be capped based on OPEC having a stockpile of reserves for such an occasion and will gauge the level of production to regulate price. A little bit of Canadian economic data on the radar this week but not until Saturday morning. Monthly CPI and Retail Sales will be the focus with both expected to be lighter than previous readings.